Kazakhstan’s interim president Kassym-Jomart Tokayev has called a snap presidential election, citing the need to eliminate political uncertainty in the oil-rich Central Asian nation. Tokayev, who replaced Nursultan Nazarbayev following his surprise resignation last month, used a state television address on Tuesday to announce a polling date of June 9. 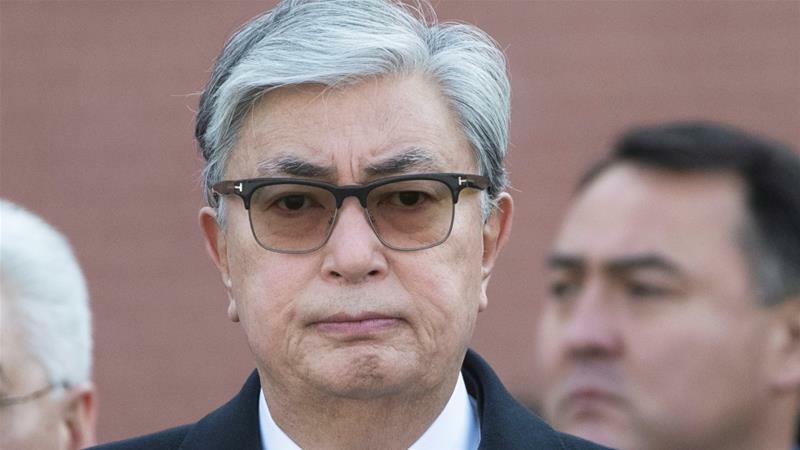 “We must continue to work on the implementation of the strategy of Elbasy,” Tokayev said, referring to Nazarbayev by his constitutional title which translates as “Leader of the Nation”. Tokayev said that he had consulted with Nazarbayev as well as other top officials including the ex-president’s daughter, Dariga Nazarbayeva, prior to announcing the vote. “Thanks to Elbasy we have built a successful state that is renowned throughout the world. Kazakhstan has taken up a respected place in the international community,” Tokayev said. Tokayev took office in a pomp-filled ceremony less than 24 hours after Nazarbayev, the only leader an independent Kazakhstan has known, suddenly announced he was stepping down last month. Nazarbayev, 78, has been known for careful diplomacy that benefits key partners Russia and China while maintaining cordial ties with the West. But the country has no history of holding elections deemed free or fair by Western vote monitors and is regularly criticised by rights groups for cracking down on dissent. Tokayev was previously the leader of the senate, where he was succeeded by Nazarbayeva, triggering talk of an eventual dynastic succession.